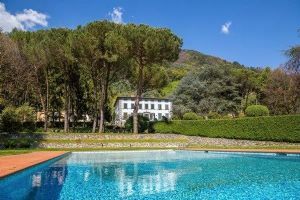 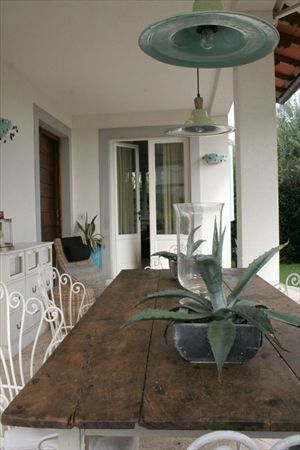 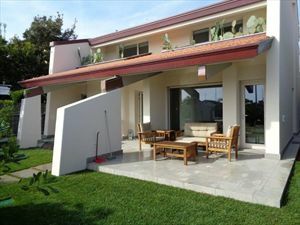 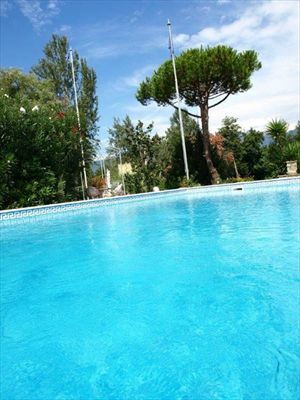 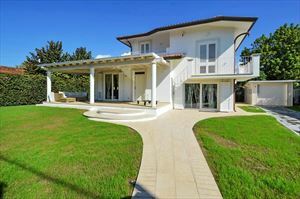 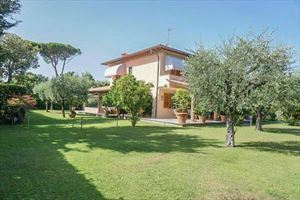 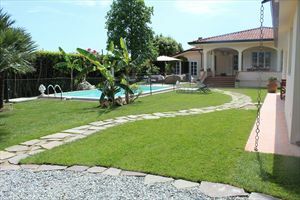 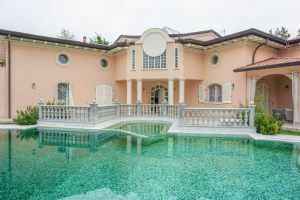 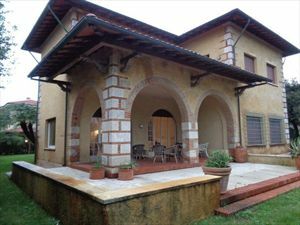 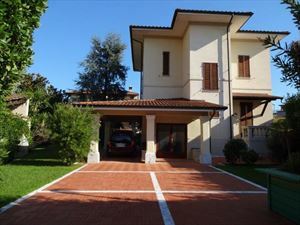 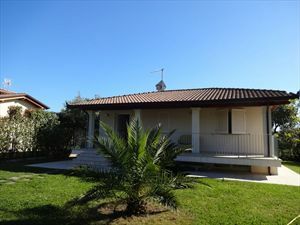 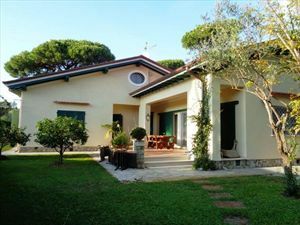 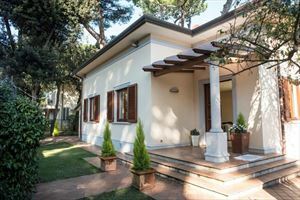 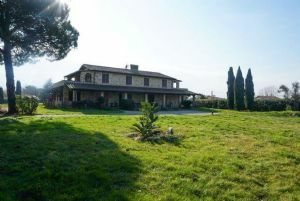 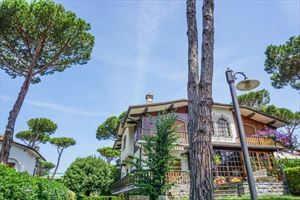 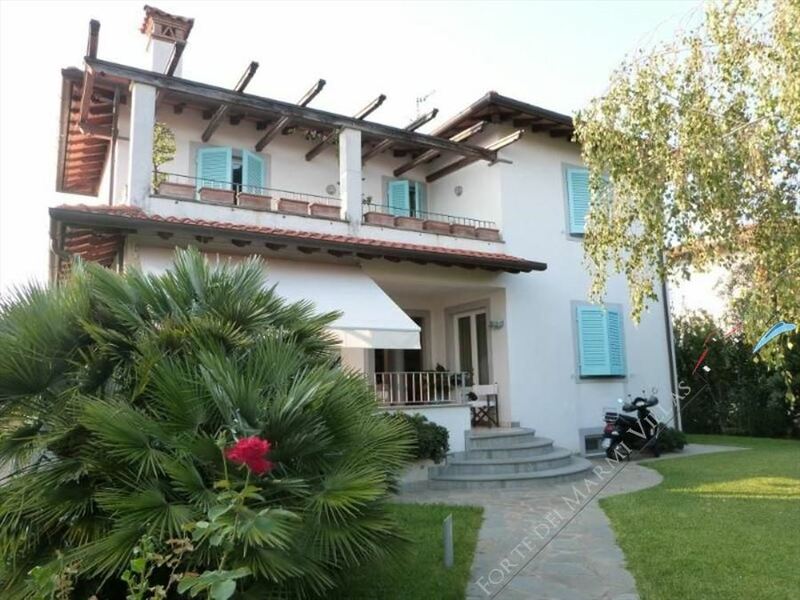 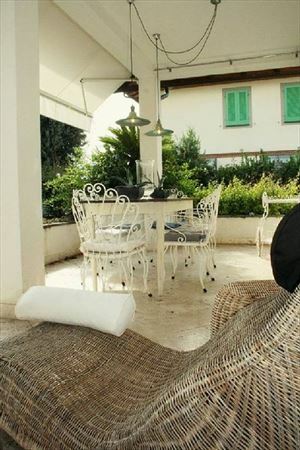 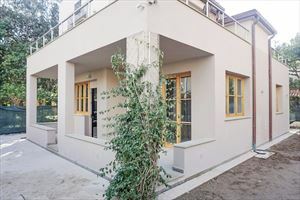 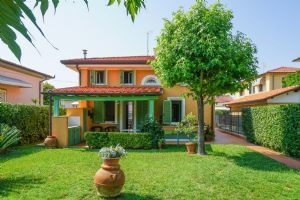 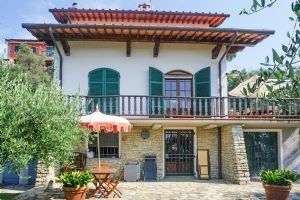 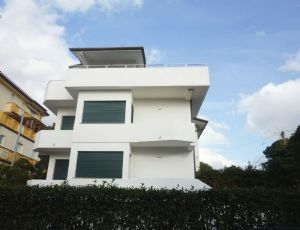 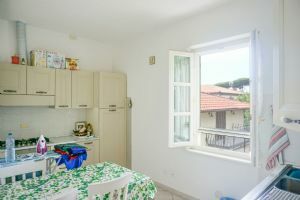 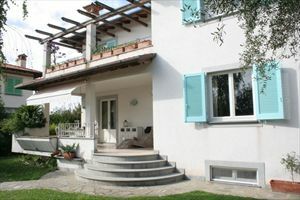 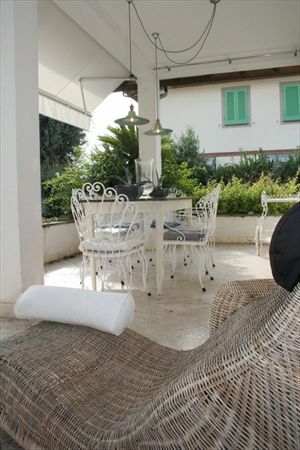 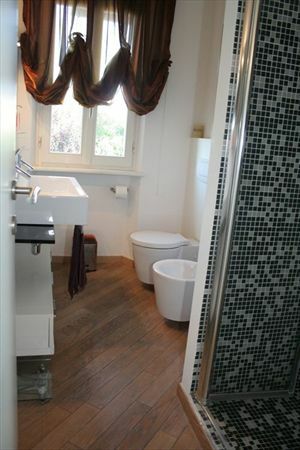 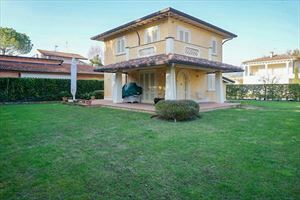 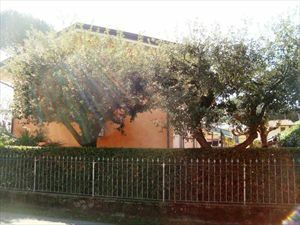 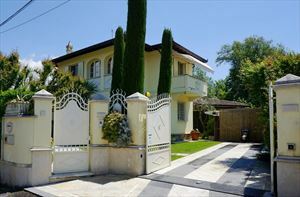 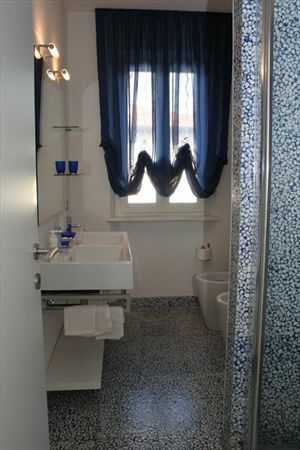 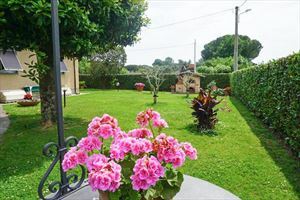 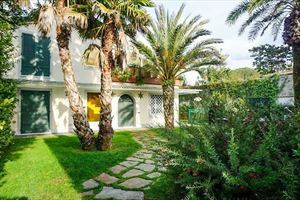 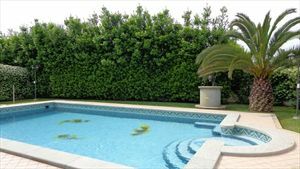 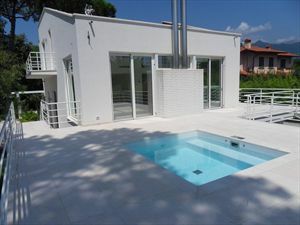 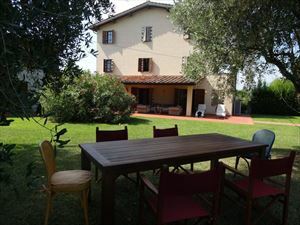 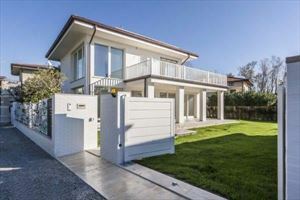 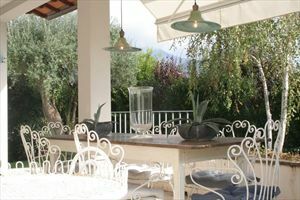 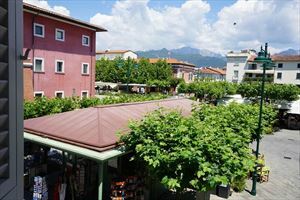 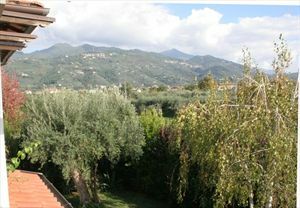 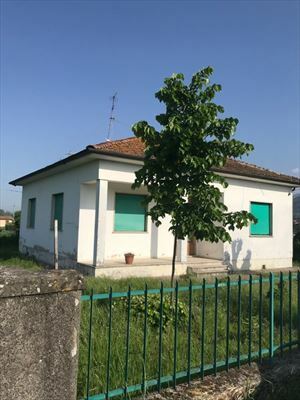 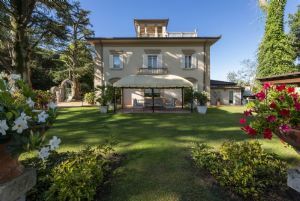 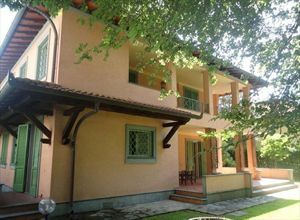 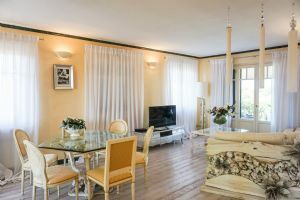 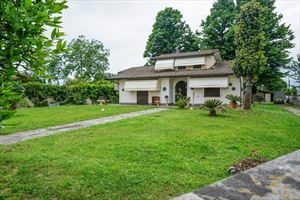 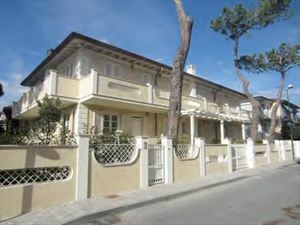 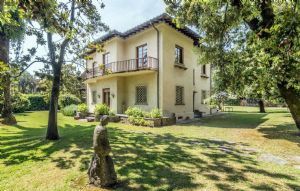 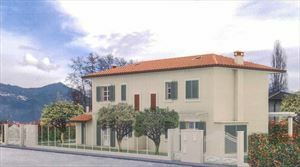 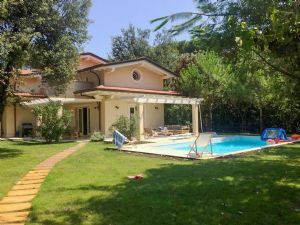 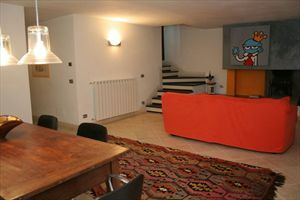 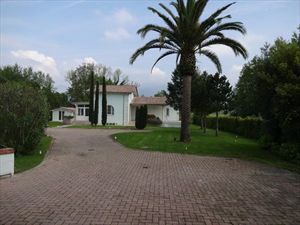 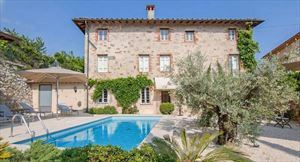 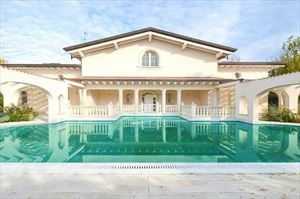 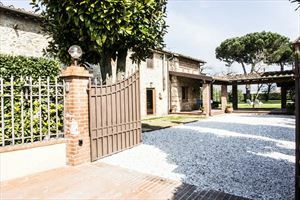 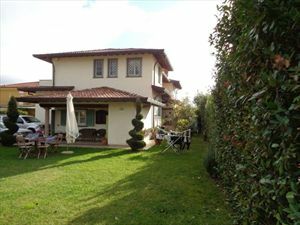 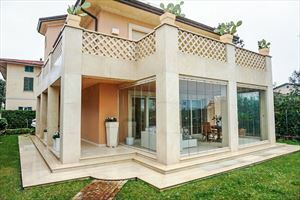 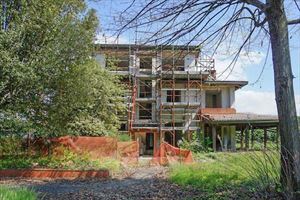 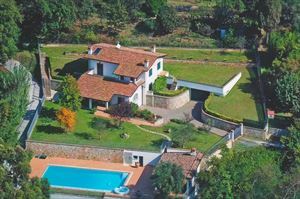 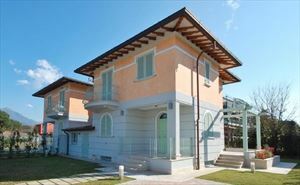 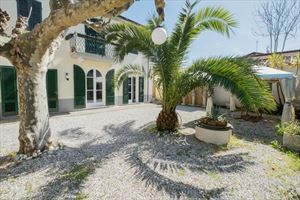 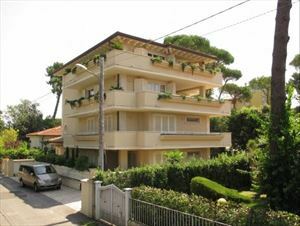 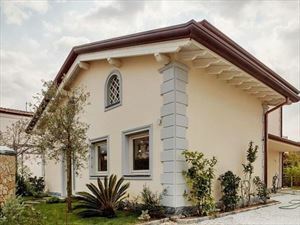 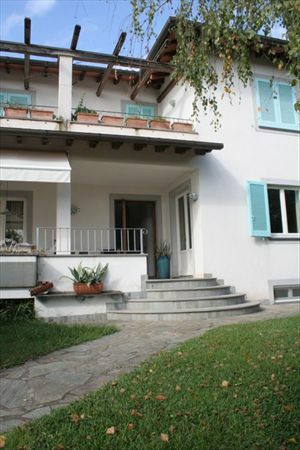 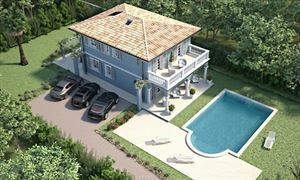 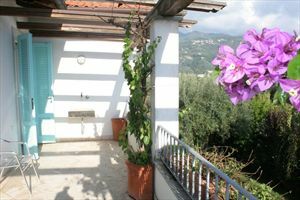 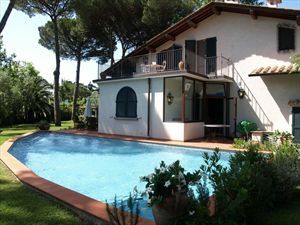 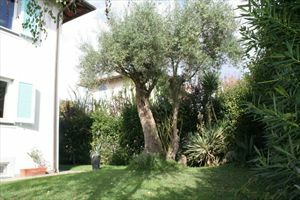 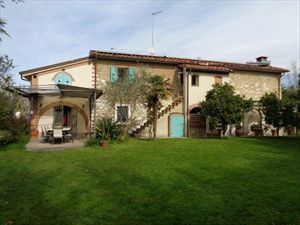 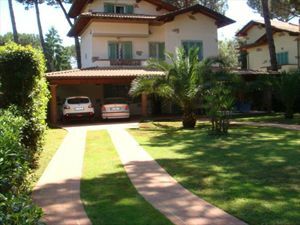 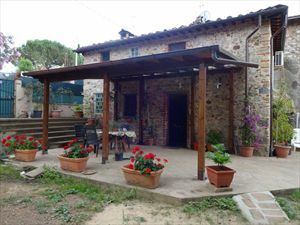 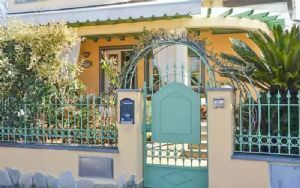 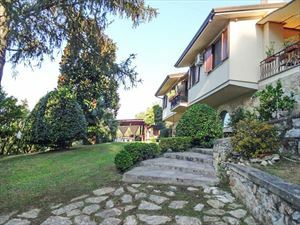 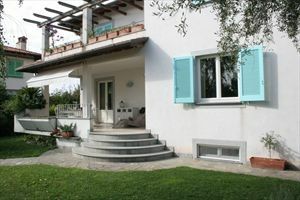 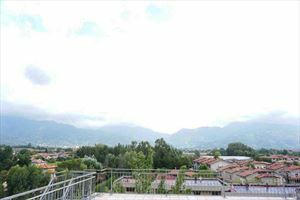 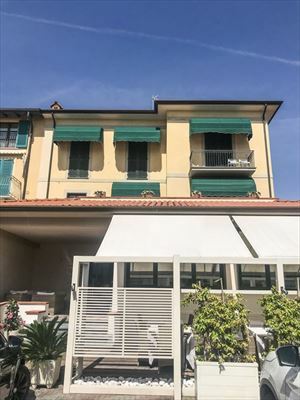 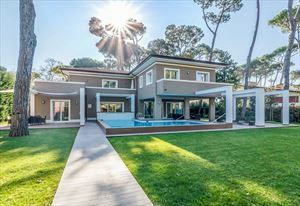 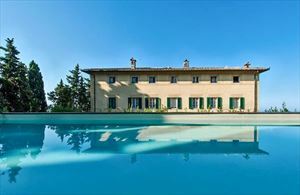 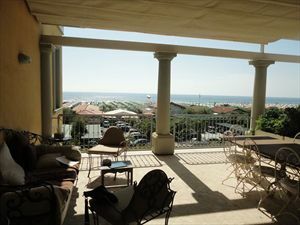 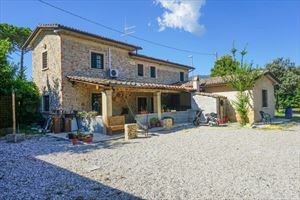 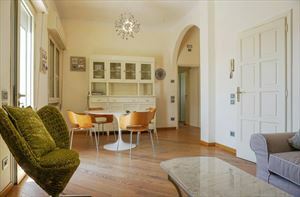 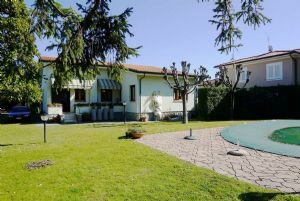 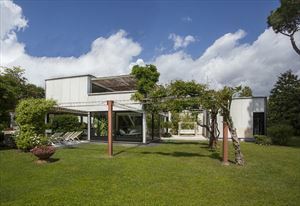 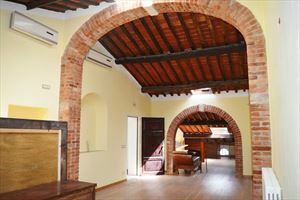 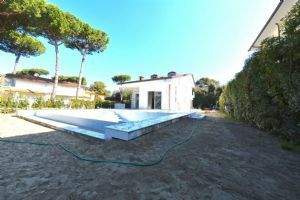 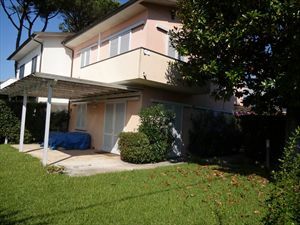 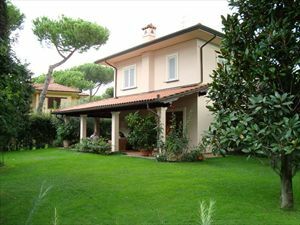 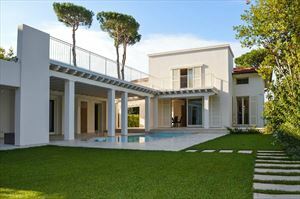 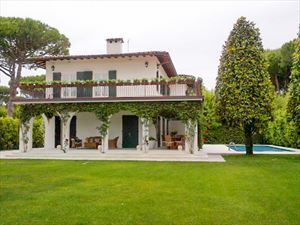 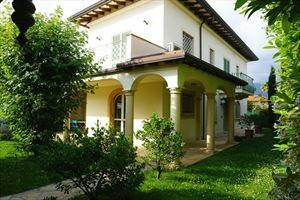 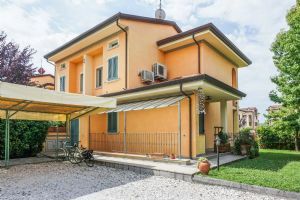 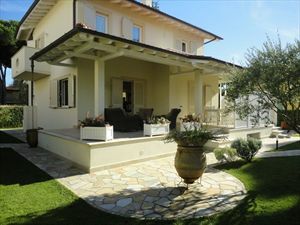 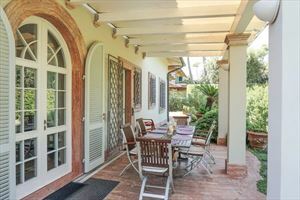 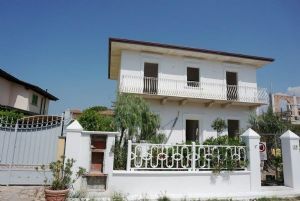 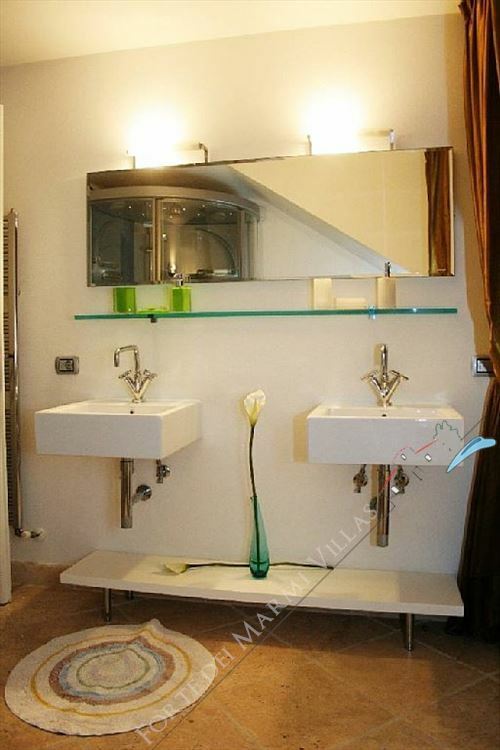 A modern detached villa (240 m2) is in a quiet and green area of Pietrasanta, close to Forte dei Marmi and 2.5 km from the sea. 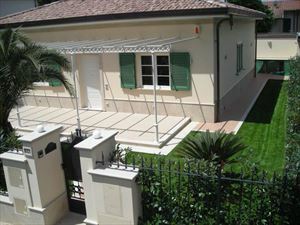 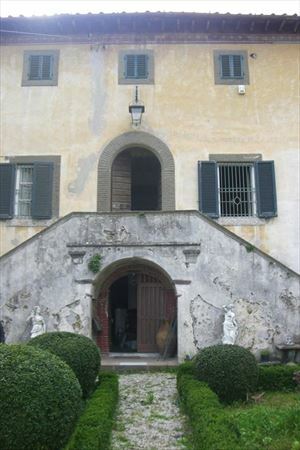 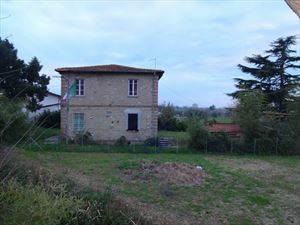 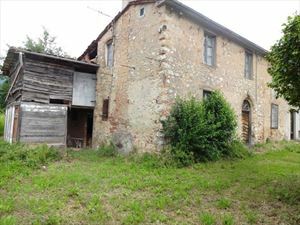 The house has two above-ground floors and a basement. 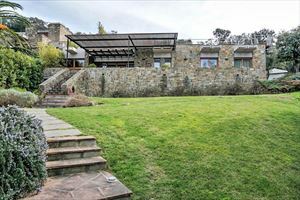 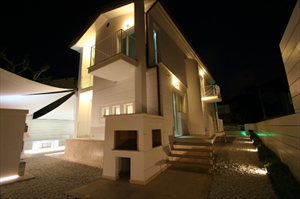 The house consists of 4 bedrooms with 10 beds, 4 bathrooms, 2 spacious kitchens, terraces with outdoor furniture. 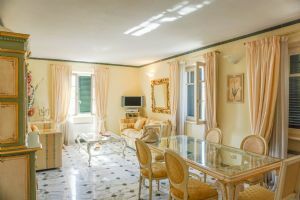 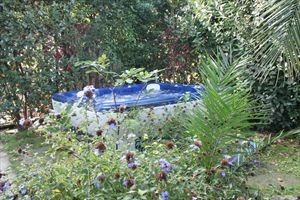 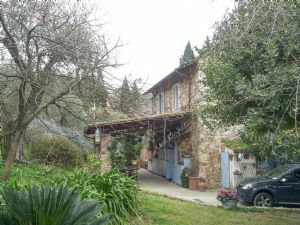 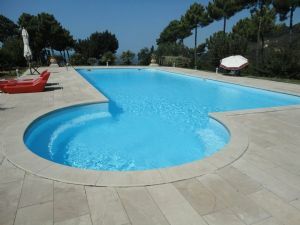 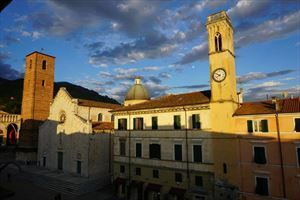 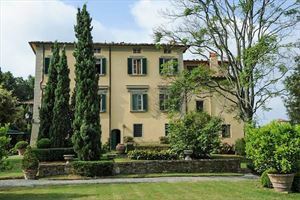 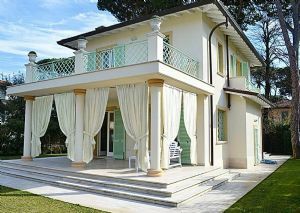 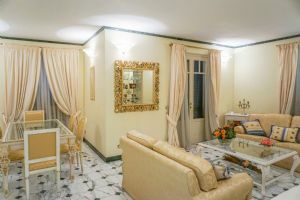 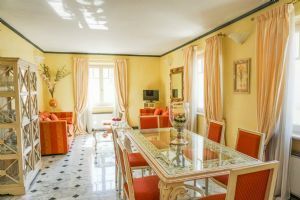 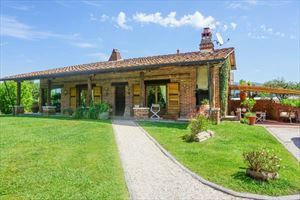 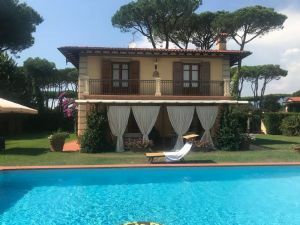 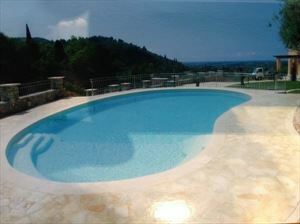 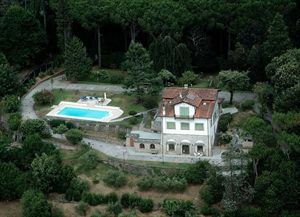 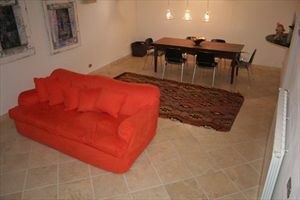 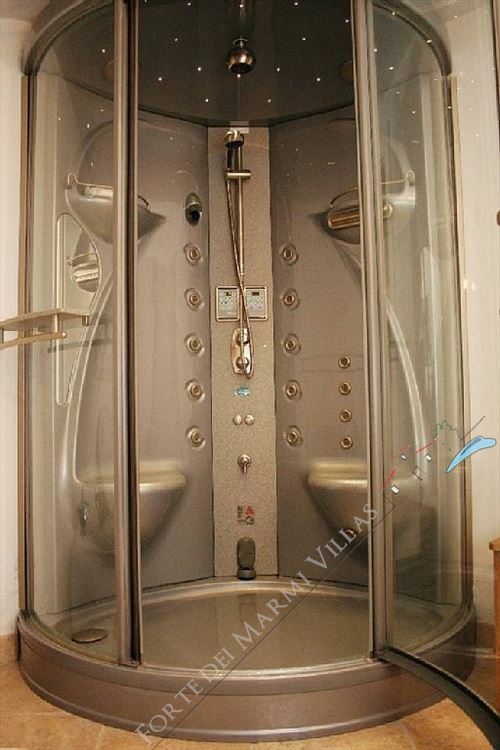 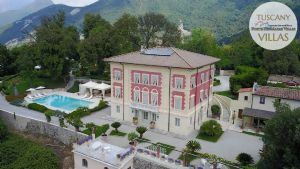 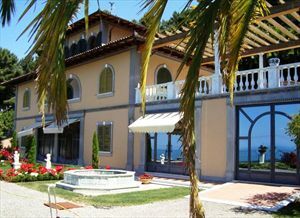 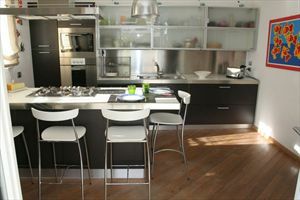 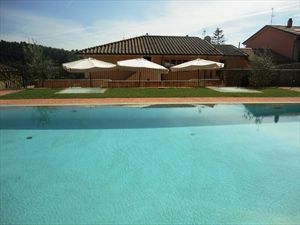 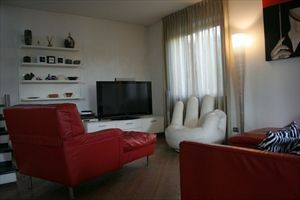 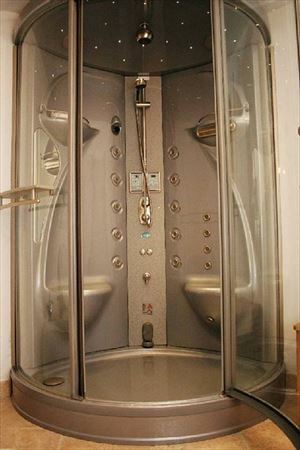 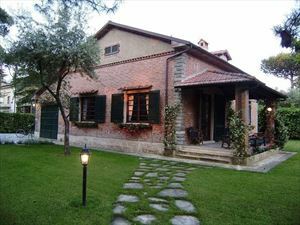 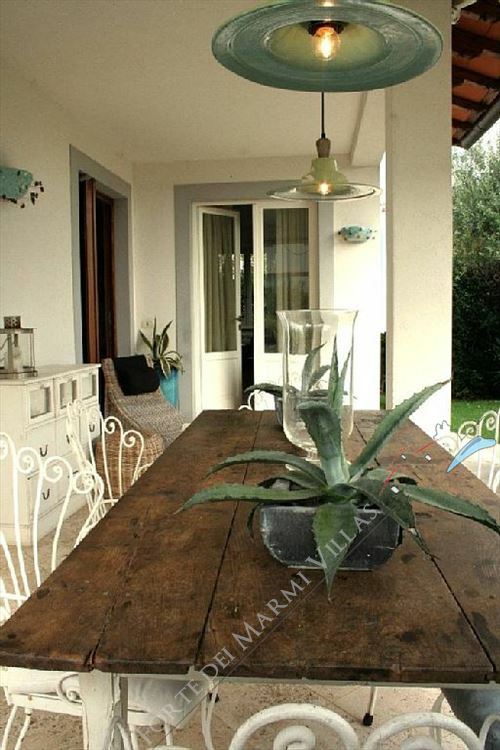 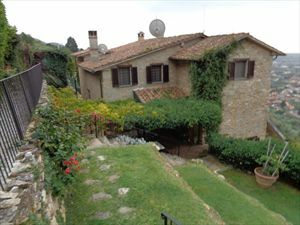 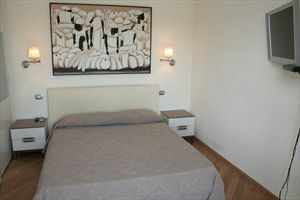 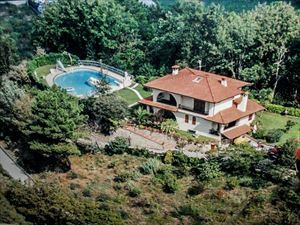 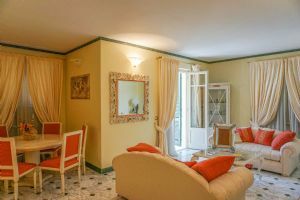 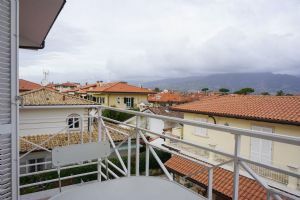 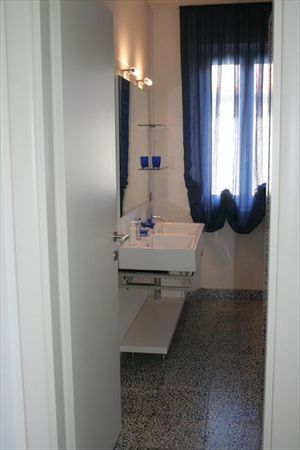 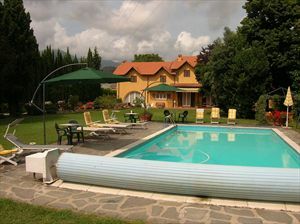 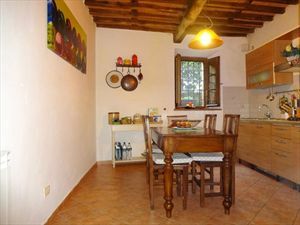 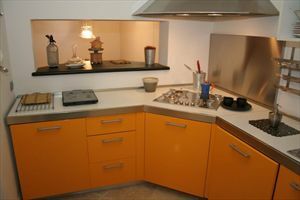 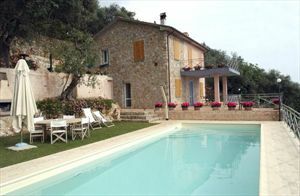 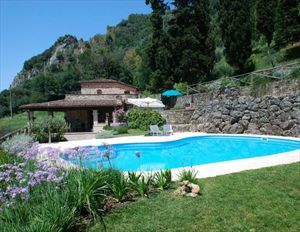 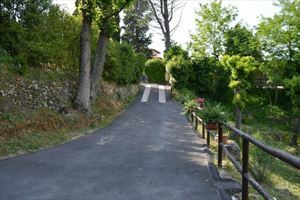 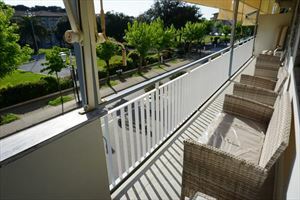 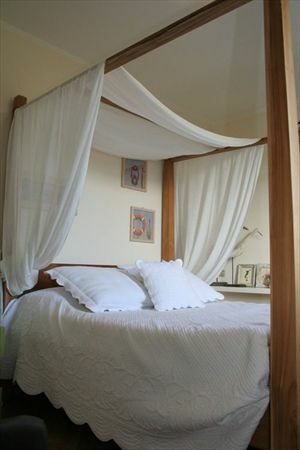 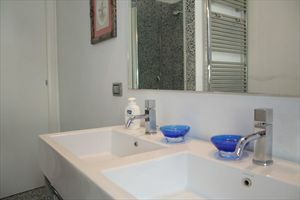 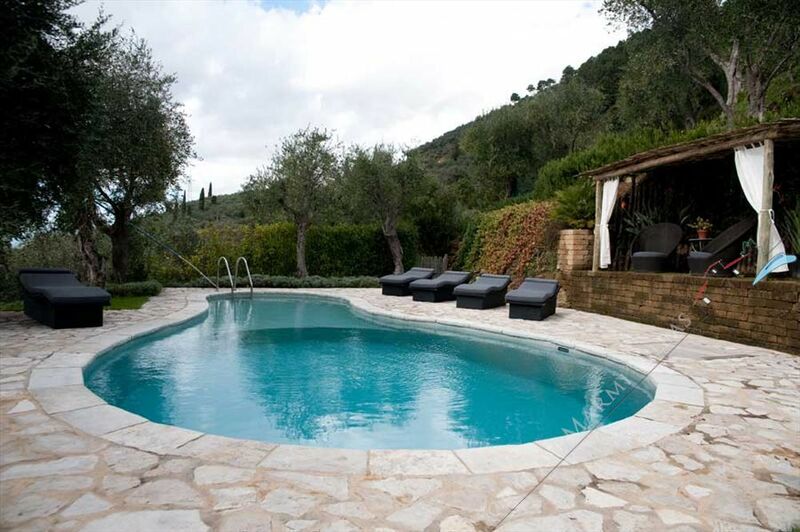 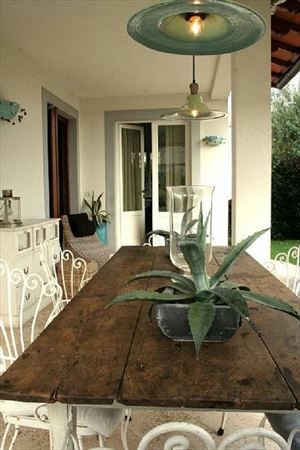 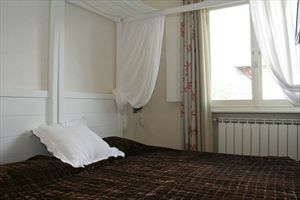 The villa is provided with alarm system, satellite TV, Wi-Fi, barbecue and a hot tub in the garden.